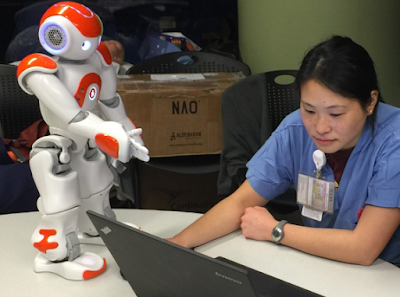 Larix International Conferences on Nursing: Will nurses be replaced by robots? I don't see a physical nurse robot - as either desirable - or necessary. Now there are a whole host of issues around this remote patient monitoring and triage - including security and accuracy - but I'm in favor of the advances that make it easier for all of us to live our lives outside of a clinical / medicinal setting. That's a higher quality of life for a longer period of time - and it's coming. Some of it (highlighted above) is already here.